Not sure if we mentioned it or not, (have we? HAVE WE?) 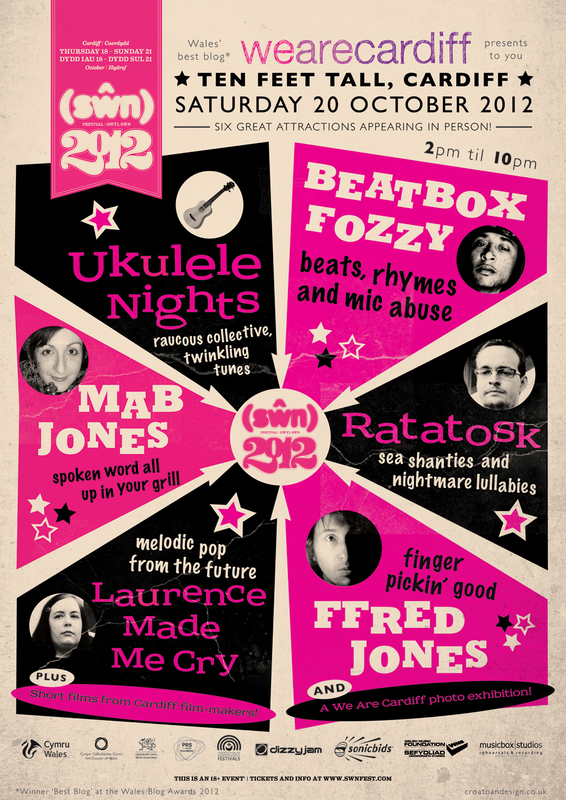 but we’re curating a stage at this year’s Cardiff-based musical cornucopia – SWN FESTIVAL! In the run up to the festival, we’re going to be running short profiles on each of the lovely people performing on our stage. Today, we’d like to introduce you to Laurence Made Me Cry (aka Jo Whitby). 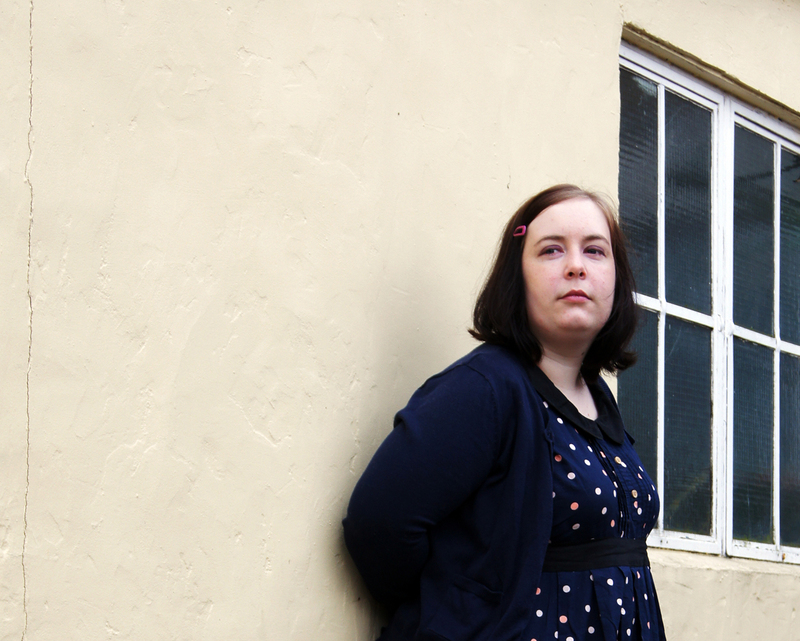 Jo has been involved with We Are Cardiff before (she’s like our resident songstress!) – and you can read the entry she wrote for the site here. Q. You’re playing the We Are Cardiff stage this year! Can you describe your music / your sound please? What can people expect? A. I’m very excited to play the We Are Cardiff stage, so great to be a part of it. My music has developed into something quite different in recent months. The EP I released last year was pretty much all acoustic based lo-fi folk music but since working on my new album I’ve started to explore more of my musical influences. I guess you could call it electonica-folk-pop? Something like that! My performance will still be very much acoustic based but I will definitely mix in a few of the more electronic tracks. That’s what laptops are for! A. As Cardiff is a relatively small capital it’s quite easy to follow what’s going on in the music scene. There are plenty of venues hosting music events every day of the week so loads of opportunities to see the local bands and musicians. Most of the Cardiff-based acts and promoters are really friendly so it’s quite easy to build up a great network of folks you know you can rely on. Q. Any local bands/artists/producers you’d tip for people to check out? A. It goes without saying that you should all check out two of my album collaborators Alone and Dementio13 both of which create the most awesome electronica. For some folk loveliness I would definitely check out Horizon, Scriber and Albatross Archive. Then there’s Inc.A of course who are fab live. A. My favourite thing to do in Cardiff is to take a walk from my house, through Wellfield Road then up for a slow stroll around Roath Park making sure I come back via a coffee shop. Simple pleasures. Q. Have you ever played Swn Festival before? Have you got any good Swn memories? And… who are you most looking forward to seeing at Swn Festival this year? A. I’ve not played Swn before and this will be my first festival performance as a solo artist which is terrifying but also quite special. I’ve rarely been in a financial position to attend the festival and when I had the opportunity my body had the audacity to become sick. There are so many acts I want to see! My current ‘must see’ list includes Pulled Apart By Horses, Trwbador, Jewellers, Alone (if we’re not clashing) and Ratotosk. I’m really looking forward to making some new discoveries too! ← Cardiff – on film!